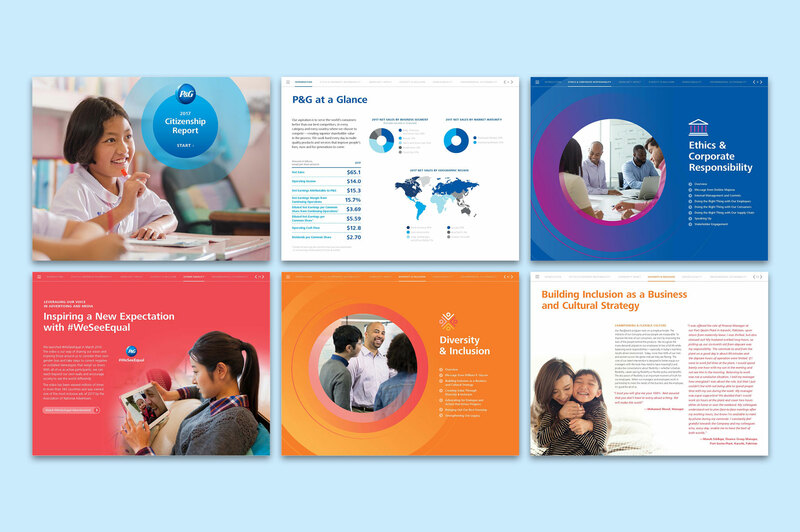 P&G’s role as a leading global citizen is woven into their corporate identity and culture. For years, they’ve led the way in environmental sustainability, diversity and inclusion, and gender equality – but these aren’t always simple stories to tell. This report needed to quickly communicate the depth and breadth of this impact. 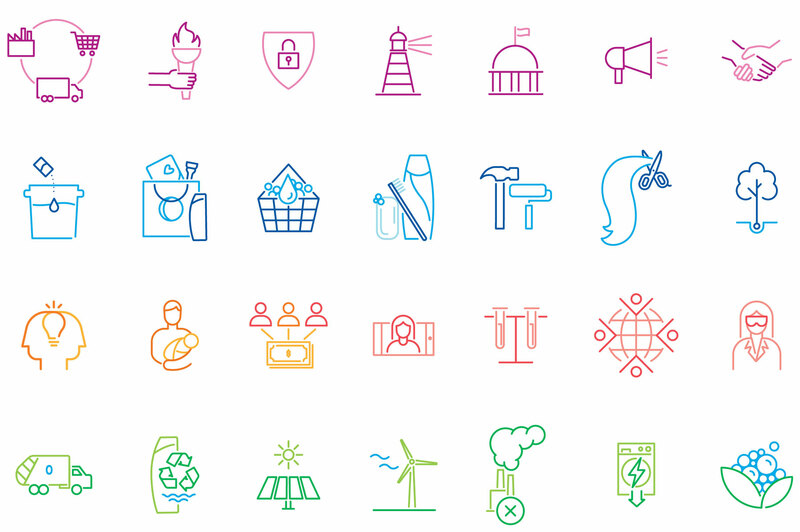 To instantly communicate the essence of complex and often abstract ideas, we created a series of nearly 80 linear icons for the report. These representations illustrated the main points of intricate, involved stories, making the information more accessible and easier to grasp. 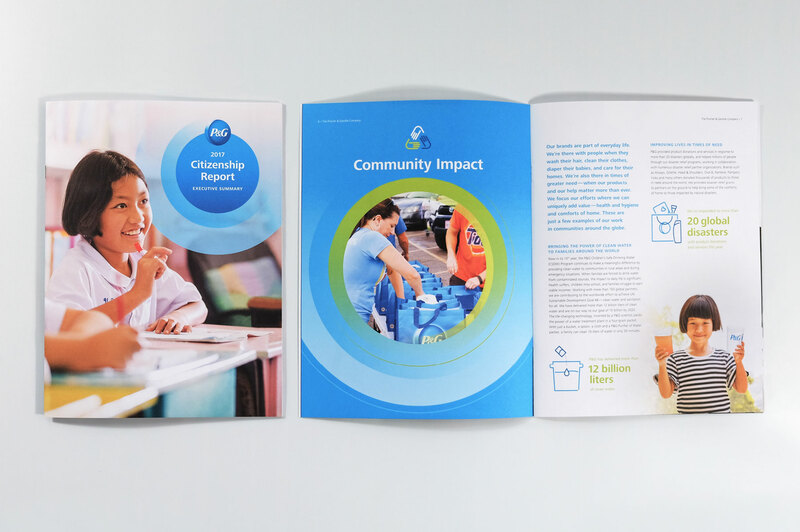 The report is a companion to P&G’s 2017 Annual Report and its theme of “raising the bar.” To reflect the growing impact of their global community work, we embraced the same circular brand elements from the Annual Report. By stacking the elements with directional gradients, we demonstrated their programs’ expanding impact. The full spectrum of P&G’s brand palette was needed to tell a complete visual story in every format. We used color, icons and data graphics to organize the information. Meanwhile, engaging photography kept the focus on the people who actually feel the impact of Citizenship programs around the globe. 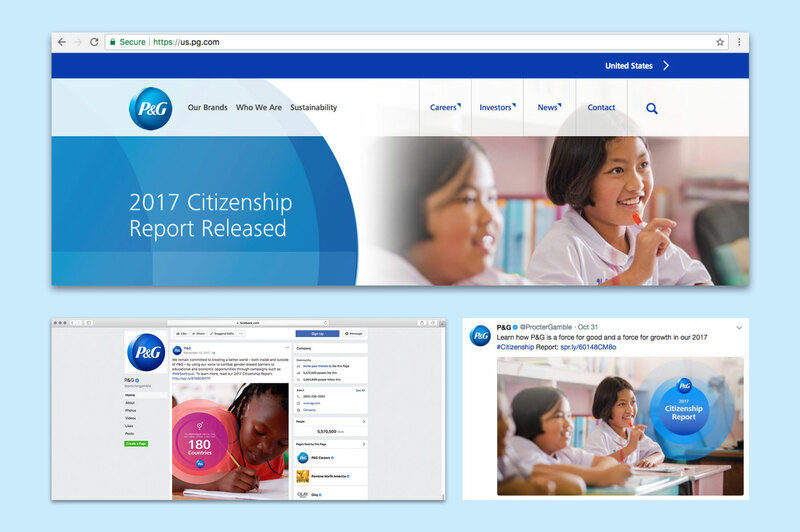 With the help of other P&G partners, we promoted the report across multiple online channels and social media. 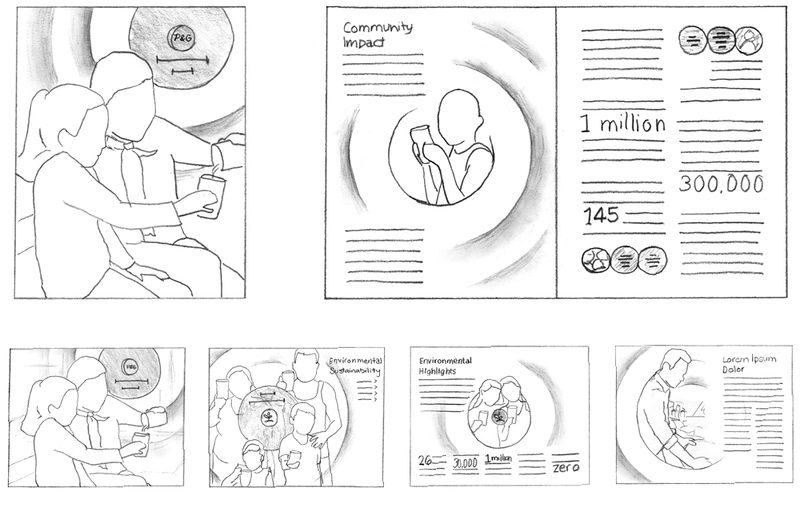 Starting with a single point of focus, we transitioned readers toward the full 136-page interactive report and the 24-page executive summary.